Elephants are among the most intelligent of the creatures with whom we share the planet, with complex consciousnesses that are capable of strong emotions. Across Africa they have inspired respect from the people that share the landscape with them, giving them a strong cultural significance. As icons of the continent elephants are tourism magnets, attracting funding that helps protect wilderness areas. They are also keystone species, playing an important role in maintaining the biodiversity of the ecosystems in which they live. We are at a critical stage of the elephant crisis in Africa. 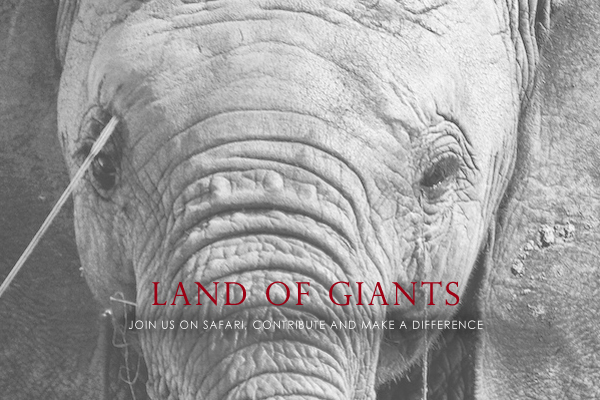 The world’s largest mammal is in imminent danger as a species. Some estimates suggest that 100 elephant a day are being killed across Africa. If this continues, the African elephant will be extinct within 15 years. This might be the last chance to see elephants in the wild. Protecting rhino and elephant requires large numbers of highly trained and dedicated rangers to protect wildlife against this onslaught. To do this the equipment, training and resources provided to them is paramount, not only to their own safety and their ability to protect wildlife, but also towards the self-worth and loyalty they feel towards the difficult task they are faced with. 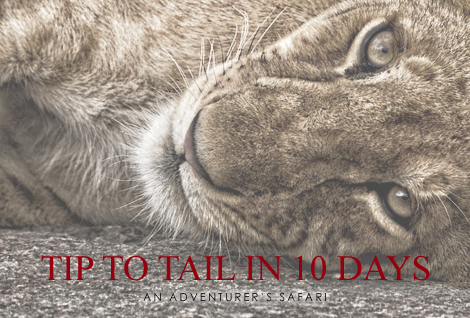 View the itinerary here or please contact your preferred Africa safari specialist availability.